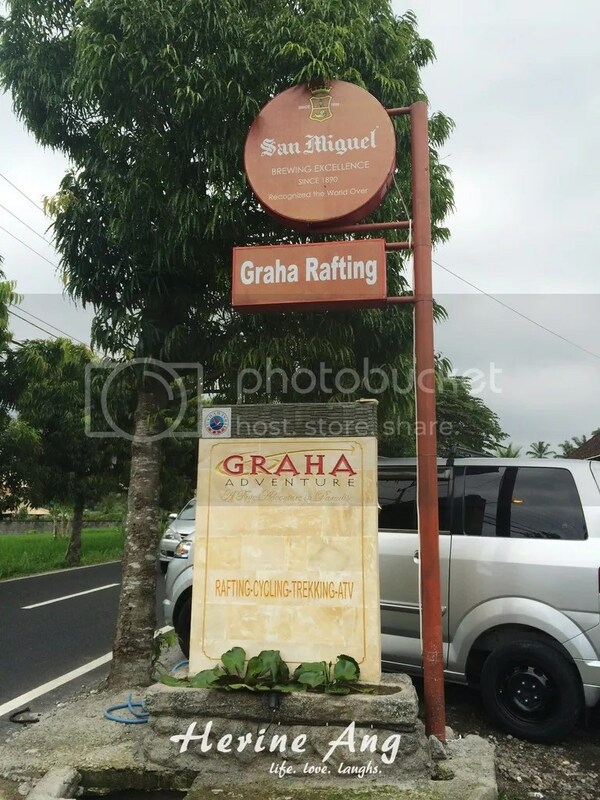 I took my 1st Bali trip easy and therefore we only had a single water activity planned, which is the White Water Rafting. On the 3rd day, we had booked a driver for the whole day. Kadek (Surya Bali Tour) picked us up at 9am and sent Winnie & I to Graha Adventure in Ubud for the Ayung River Rafting, while the rest of them headed off for massage and endless food. I applied lots of my BS natural sunscreen and I was glad I did because we need to take their 5-10 minutes pick-up lorry transport and walking and getting down to the river will take up another 15-20 minutes. I simply wore my sports top with sports bra + beach shorts with no change of clothes as I expected to dry off fast under the hot sun. (Kinda regret as I was fully dried and was exposed to wind after that). See that purple landyard pouch I was wearing? It’s waterproof – for our phones! So pardon me when the photos you see later are blurry/misty. By the time I reached the river, my knees were shaky and weak ahahaha. Finally onboard after a quick training! Wearing shades because I couldn’t afford for water to get into my eyes and contaminate my contact lenses. Thanks to our instructor for offering to take so many photos for us! He even made us swim and recorded a video lol. It was near end of the journey already and my arms were feeling the soft shiok aching! So in love with the nature! Our instructor jokingly lied to us that there was a helicopter waiting for us in front. The “in front” never happened of course, and I was the first in our group to reach the top! This is celebration worthy! OMG achievement unlocked!! We were transported back to the main area to wash up and have lunch. There was a few dogs nearby, drooling and eyeing our lunch badly. I felt so bad for him so I threw him a piece of food. Thank you my rafting kaki! So gonna do this again! I wanna try the ATV Ride in future too! Read the review on the private villa we stayed in. Next Post → I Made Sales with My Overnight Oats!